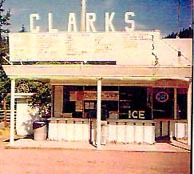 Clarks was born in 1923, beginning life as a combination gas station/tavern/grocery store named Ma and Pa’s. Later, it became Wolfs in the 1950’s before being purchased by its namesake Clarks – John and Beth – in 1963. John and Beth forged a good reputation with memorable Friday night dinners - and especially with their homemade ice cream - for their restaurant in the local community until eventually retiring in 1983. After a brief hiatus from Clarks traditions and recipes, Rich and Kathy Pacana purchased Clarks in 1997, building on positive memories Kathy had of working for John and Beth in the 1970s and bolstered by Rich’s experience as a successful businessman. John Clark taught Kathy how to make his wonderful ice cream using his grandmother’s recipe, and Kathy, in turn, passed along this knowledge to the rest of the family. Clarks still makes the shakes with the sundae on top just like John used to do it. 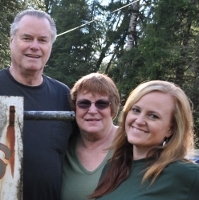 Rich and Kathy have their daughter, Ranie Creamer, currently managing the restaurant and they are still involved in making the ice cream as well as the homemade pies [Little wild blackberry pie is one of the favorites]. Clarks has won the Daily World’s Twin Harbors “Best Burger” for 15 times. Everything at Clarks is made from scratch. No canned soups here. There is no scrimping with the products. The burgers are made from lean ground chuck and put on a five inch bun [or a six inch with an even bigger patty, if you are really hungry]. The French fries are cut by hand - the old-fashioned way. The décor has been left like the Clarks had it for years because so many of the customers started out as children when their parents brought them. Come see for yourself.